We have having fun with some new Video Shorts - only 15 seconds long that tell a bit about our products and our company. Here is one I love - it shows one of the very first steps in the traditional harvesting process of Argan Nut for the creation of edible or cosmetic Argan Oil. That's right. It is easy, fast and a great way to clean and soften your feet. Just mix a small bowl of organic Moroccan Ghassoul and spread a thin layer on the soles of your feet. Leave to dry. It is a very relaxing and sensuous feeling. The clay treats the bottom of your tired feet and works to tone and refresh. Also it is a great preparation for a pumice rub to remove excess skin. Try it - I think you'll like it. We have been receiving lots of requests regarding "How to use Ghassoul Clay". So we decided to prepare a brief "how to guide". 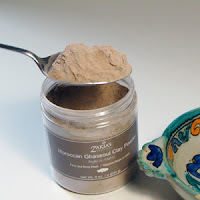 In two pages it shows exactly how to use this wonderfully detoxifying and deep cleaning clay from the Atlas Mountains. The process is so simple and I believe much better than all those pre-prepared masks you get in tubes or jars. Why - because they contain so many additives, preservatives etc. to keep it from going bad. Ours will never go bad because it is pure clay - nothing else! You can keep it for a million years if you avoid contact with any moisture. Simply mix a small amount of clay with water and apply a smooth layer. Your face will feel tingly as the Ghassoul clay is drawing out all the impurities and toxins from your skin. Before allowing it to completely dry rinse with warm water. 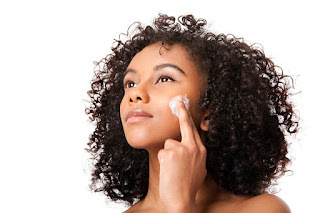 Others will tell you to dry completely, but I find it too hard to remove and potentially irritates the skin unnecessarily. 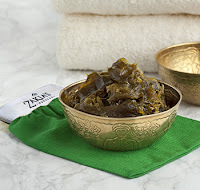 Zakia's Morocco Argan Oil Beauty Products is proud to be associated with the Bay Area's premier spa experience: Spa Dhara where you can restore the sense of self and ease the mind. Their team of world-class professionals, services, products, and facility will transport you to a world of relaxation, results, and wellness using natural and organic treatments, carefully selected from around the globe. It is not just an indulgence retreat that will leave you breathless with the enchantment of its décor and services, but it assists in redefining lifestyles to include the well-known traditional Indian wellness regimes of Ayurveda, combined with best of International Wellness Experiences to bring about the union of mind, body, and soul. "The spa The weary winter traveller to La Mamounia finds an oasis, not just a spa. The famous hotel, Winston Churchill’s favourite retreat, is an opulent Arabian Nights palace where marble fountains tinkle in inner courtyards and carved wooden archways conceal velvet-seated nooks. The hotel has just had a major facelift, and the newly extended spa (2,500sq m) boasts a large indoor pool and candlelit chambers, delightfully perfumed by the hotel’s signature scent, created especially by Olivia Giacobetti, one of the world’s great “noses”.